The pressures on Compliance teams have rarely been greater. You need to stay on top of regulatory change – which invariably brings more, not fewer, challenges – and manage a growing workload. At the same time, governance is in the spotlight as never before. You need a team that can perform at 100% all the time. A team of dedicated, expert professionals who understand your priorities and objectives. How can you build this expertise? How can you create a high-performing Compliance team? A few actions will point you in the right direction. The 2018 Salary Guide from search firm Robert Half says that the market for Compliance professionals continues to be ‘robust’. MiFID II and SMCR, monitoring, financial crime and conduct risk are identified as in-demand areas of expertise. If you’re recruiting for experts in these areas, expect competition to be fierce. You’ll need to offer competitive salary and benefits, although the survey did note that ‘On the whole, salaries have been rising at a slower pace than previous years’. You might want to consider outsourcing – contractors and external experts can give a real boost to your team, adding expertise and experience either short- or long-term. If you are regulated, outsourcing comes with its own set of FCA rules which you need to make sure you follow. And make sure everyone in your team has the training they need to do their current role and stay at the forefront of any new requirements. Good governance and regulatory compliance aren’t just about your team – they are things the whole business needs to get behind. This is something we explored in our recent blog on who should be responsible for compliance in your firm? Compliance excellence means getting top-down commitment to ethical practices. There can be no blind eyes turned to non-compliant sales approaches, operations or financial promotions. If you can create a culture of good governance that permeates your entire firm, your role becomes less one of policing and more one of strategic adviser to the business. The FCA is very in favour of efforts to improve cultural compliance. Just this week, the regulator released a discussion paper looking at how to transform the culture of the UK financial services industry. Your daily workload may make it seem impossible to look beyond your immediate priorities. But if you want to build a team that can act as a strategic business partner, rather than an administrative resource, you need to look ahead. The regulatory landscape is constantly in flux, with new requirements and evolving rules. You need to keep track of future changes and identify their implications for your organisation if you are to truly add value as a strategic resource. The FCA publishes a monthly round up of regulatory news, which is worth subscribing to for the latest updates. If it’s hard to find time to look beyond the short-term, identify what you can do to reduce your workload. Often, too much of your team’s time is taken up by administration and paperwork. Read Perivan Technology’s top 5 tips for reducing Compliance admin for ideas on how to reduce the paper mountain. Cutting duplication and unnecessary manual processes can free you up to focus on the future, identifying future priorities and defining strategies to tackle them. Helping the teams in your business to be more self-sufficient when it comes to regulation can also cut your workload. Make it easy for everyone in your firm to find compliant materials like presentations. Work with your Marketing and Sales teams to help them understand what constitutes a financial promotion and how to write content you can approve first-time, to reduce the time you spend on reviews and edits. If after doing all of the above, you’re still overwhelmed by day-to-day pressures, there are a host of tools that can streamline your approach. Regulatory technology – so-called regtech – can help; read more about how you can use regtech to improve compliance. Creating an online slide library can also deliver huge efficiency benefits. Your Marketing team and business development colleagues can easily access approved content, while unapproved wording is flagged for your attention. This can significantly reduce the amount of time your team spends re-approving content that’s already been signed off. Many of the changes Compliance teams pick up on are not regulatory, but branding or non-FCA issues. Make branding foolproof by creating online templates that ensure correct logos, imagery, colours and fonts are used. 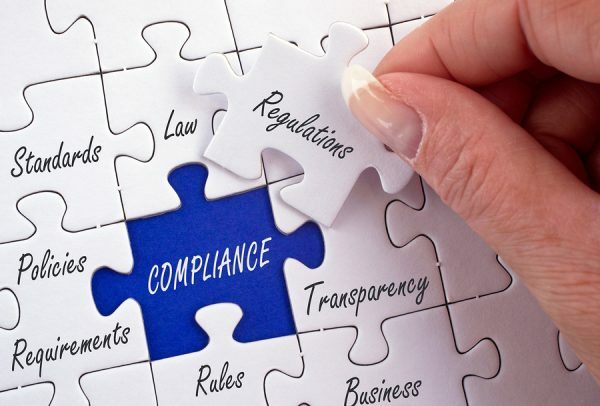 The Compliance role is a demanding one; your responsibilities are growing all the time. Putting in place a high-performing team can make all the difference between drowning and embracing the challenges you face.